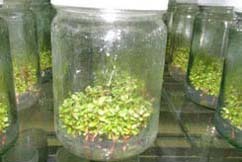 China National State Forest Farm Development Corporation was established in 1988. 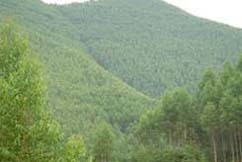 The Corporation is the second-class legal entity of China Forestry Group Corporation. The headquarter of the Corporation is located in Beijing and the Legal Representative of China National State Forest Farm Development Corporation is Zhu Chengqing.The Corporation is mainly engaged in cultivation of forest resources and processing and trade of forest products. 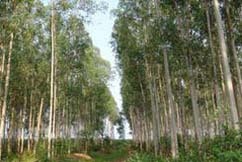 The Corporation, with its own investment, has established 1.09 million mu (15mu=1hectare) of Eucalyptus plantation bases in Guangdong Province and Guangxi Zhuang Autonomous Region. 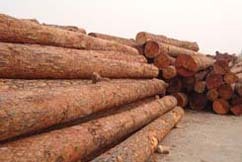 It has also successively set up 5 million mu of commercial timber plantation bases through joint venture in 13 provinces (autonomous regions) of the country. 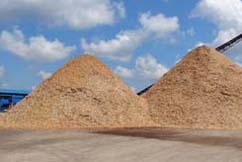 The business scope of the Corporation mainly covers products of timber, wood chip, medium density fibreboard (MDF), and food additive including tea polyphenol extracted from raw material of green tea.